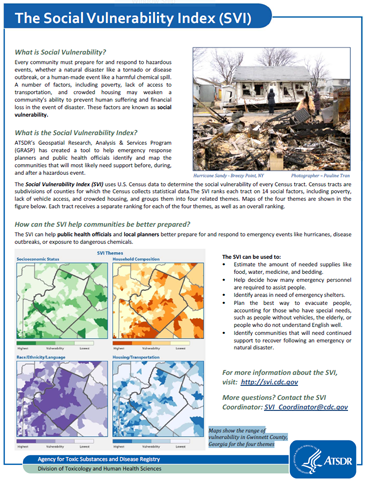 What is CDC's Social Vulnerability Index? ATSDR’s Geospatial Research, Analysis & Services Program (GRASP) created databases to help emergency response planners and public health officials identify and map communities that will most likely need support before, during, and after a hazardous event. 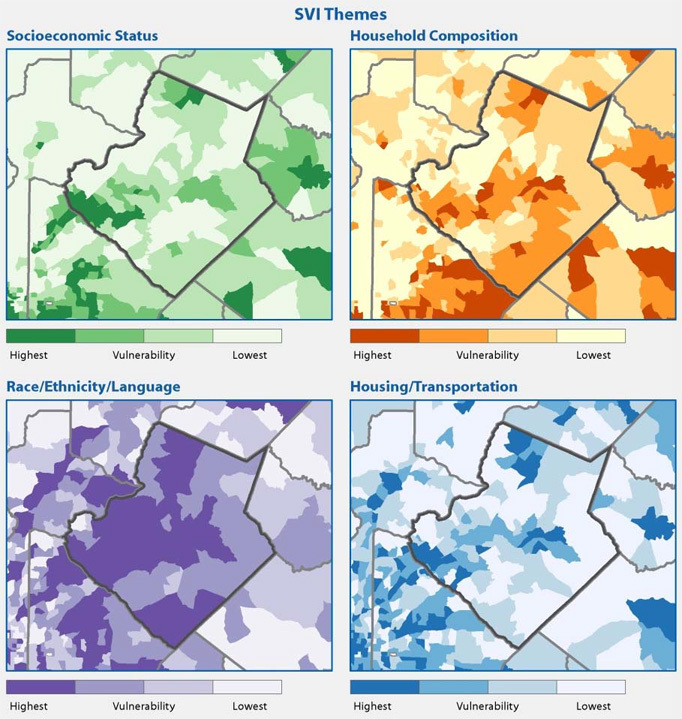 CDC’s SVI uses U.S. Census data to determine the social vulnerability of every census tract. Census tracts are subdivisions of counties for which the Census collects statistical data. The SVI ranks each tract on 15 social factors, including poverty, lack of vehicle access, and crowded housing, and groups them into four related themes. Maps of the four themes are shown in the figure below. Each tract receives a separate ranking for each of the four themes, as well as an overall ranking. How can CDC's SVI help communities be better prepared? The SVI can help public health officials and local planners better prepare for and respond to emergency events like hurricanes, disease outbreaks, or exposure to dangerous chemicals. Estimate the amount of needed supplies like food, water, medicine, and bedding. Help decide how many emergency personnel are required to assist people. Identify areas in need of emergency shelters. Plan the best way to evacuate people, accounting for those who have special needs,such as people without vehicles, the elderly, or people who do not understand English well. 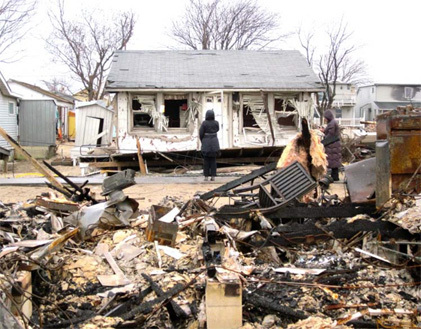 Identify communities that will need continued support to recover following an emergency or natural disaster.